Hobo Wine Co. Uses Carbon-Free Energy, Conserves Water, and More. 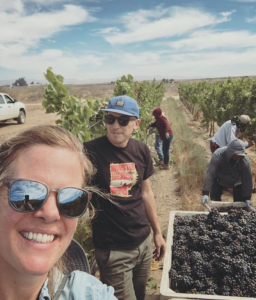 Sustainable Holiday Gift Idea: Hobo Wine Co. Uses Carbon-Free Energy, Conserves Water, and More. Kenny Likitprakong and Lynn Wheeler are the founders, winemakers and combined creative force behind BCE member The Hobo Wine Company of Santa Rosa, CA. Through a partnership with 1% For the Planet, Hobo Wine Company is a substantial 2018 supporter of the Center for Climate Protection.